Apology from A3G, and Her Excuse: Forget War; Moving Is Hell! Article III Groupie apologizes for her recent absence from these pages, and she knows that you have every reason to be upset. Please forgive her; she has been preoccupied by her recent move to Washington, D.C.
A3G has spent the past few weeks packing up all her worldly possessions, frantically moving them hundreds of miles, and fighting with utility companies in her new home city. In case it has been a while since you last moved, think back on how terrible that experience was -- then multiply it by, say, 17. Murphy's Law has applied to A3G's move! Article 3 Groupie is still in the process of unpacking her stuff and furnishing her apartment at night, while trying to adjust to the demands of her new job by day. It has been overwhelming, exhausting, and stressful. It may take A3G several weeks -- or months -- to regain the semblance of a normal life. But once A3G retakes control of her existence, you'll start seeing UTR posts on a more regular basis. A3G will be, as Dame Edna might say, "Back with a vengeance!" In the meantime, for those of you looking for your regular fix of Supreme Court law clerk hiring gossip, check out Prettier Than Napoleon, by Amber Taylor. At least for the time being, given how crazy A3G's life is right now, she's happy to delegate the duty of stalking the Elect to Ms. Taylor. So what brings A3G to our nation's capital? Well, she is working once again in the litigation department of a large law firm -- although she's switched over to appellate work, to avoid the document-review drudgery that caused her to suffer through many late nights (and broken nails). Meanwhile, her alter ego is blogging professionally -- yes, for a living, and actually not a bad one -- over at the politics blog Wonkette. 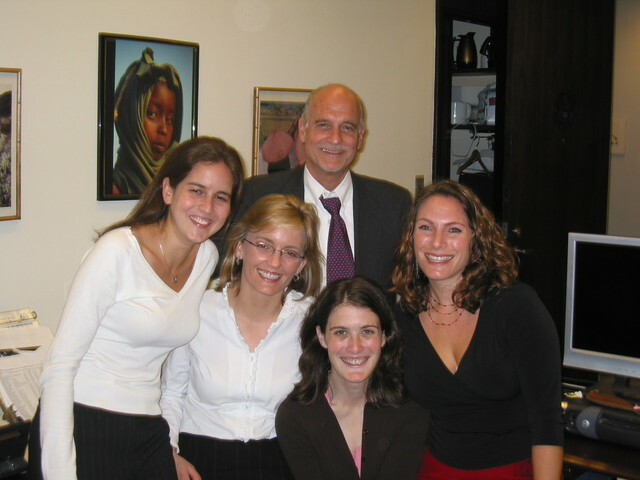 -- a gossipy analysis of Senator John Kerry's decision to filibuster the Alito nomination -- featuring tidbits about Mirah Horowitz (OT 2001/Breyer), a well-connected and high-powered member of the Elect (that's redundant). Oh, why bother making A3G dig up the links to all those Wonkette posts? Just make things easy on yourself by adding Wonkette to your blogroll or RSS feed. Enjoy! A special note to UTR readers who live in New York (or would like to move there): A3G's apartment is for sale! The birthplace of UTR -- a lovely junior one bedroom, with an unbeatable location close to numerous cultural attractions, major subway lines, midtown offices, and Central Park -- is on the market. In case you might be interested, here's the listing. Thanks! A special note to UTR readers who live in Washington: Wanna come over and help A3G unpack her thiings and organize her apartment? A modest cash stipend may be available. Please note that this would be a one-time-only kind of thing, with you working for A3G as an independent contractor. A Law Clerk Hiring Update: No Room Left in CT's RV! A3G thanks her readers for the foregoing information, as well as for the tidbits about the four CT clerks that some of you have already provided. She won't be using them now, but keep an eye out for them in the future. As A3G has previously explained, full-blown celebrity profiles of the OT 2006 Supreme Court clerks will follow in due course, once hiring has been completed by all nine justices. At the current time, to the best of A3G's knowledge, two justices in addition to CT are done hiring for next Term: Justice Ginsburg (see here) and Justice Stevens (see here). As always, please email A3G with any corrections or additions to the hiring information appearing above. Merci beaucoup! * You'll need it; CT's OT 2007 spots are also going fast. Justice Thomas has already hired Sentelle-tubby Carrie Severino to serve as one of his October Term 2007 clerks. Severino originally interviewed for an OT 2006 spot. But since she is having a baby this December, Justice Thomas allowed her to choose between OT 2006 and OT 2007; she chose OT 2007. 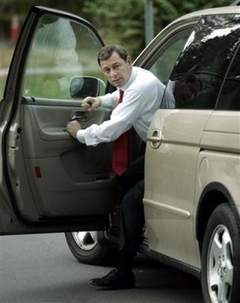 The Wheels of Justice: The New Chief Parks His Minivan! Later today, Judge John G. Roberts, Jr., will be confirmed by the United States Senate to serve as the 17th Chief Justice of the United States. But just like an ordinary person, John Roberts eats lunch at Au Bon Pain. And at the end of the day, he still has to park his own minivan -- just like any other suburban dad living in Chevy Chase, Maryland. Federal judicial celebrities -- they're just like us! "They Like Him, They Really Like Him!" Okay, fine, Article III Groupie will give you some "news" about the federal judiciary (which is, after all, one of the things promised by this blog, along with "gossip" and "colorful commentary"). A3G doesn't like the pressure to keep up with the news cycle and stay abreast of the latest developments, but she realizes it's part of her job as a blogger. So expect John Roberts to be occupying the Chief Justice's chair on October 3, when the Court begins hearing cases for October Term 2005. At the first oral argument session, Chief Justice Roberts will probably spend more time seated in the chair than his predecessor and former boss, the late Chief Justice William H. Rehnquist, who frequently stood up in the middle of oral argument to stretch his back. It remains to be seen whether Chief Justice Roberts will be as much of a stickler for time as Chief Justice Rehnquist, who was known to "cut [an] attorney off in midsyllable" upon seeing the red light indicating that the attorney's time was up. But a confirmation is a confirmation, regardless of the margin of victory. A seat on the Supreme Court feels plush, no matter how long and hard you had to fight to occupy it. Now that he's firmly ensconced in the luxury of One First Street, which is luxurious a priori,*** do you think that Justice Clarence Thomas cares that he was confirmed by only a 52-48 margin? * Senatrix Hillary Clinton has come out against the Roberts nomination. (Gavel bang: Jewdicious.) A3G is disappointed to see Senatrix Clinton aligning herself with the more left-wing elements of her party, instead of joining the reasonable Democrats (at least 8 outside the Judiciary Committee) who have announced their support for the nomination. But Hillary's decision to tack left on the Roberts nomination, after having tacked right for a bit on other issues, was probably motivated by a desire to please the liberal base of the Democratic Party that will be voting in the presidential primaries. Senatrix Clinton's recent ideological tightrope-walking should dispel any doubt that she is planning a presidential run in 2008. The nine justices, too, are being uprooted from their individual three-room chambers. They will move to other space within the marble confines, however, rather than be relegated to trailers. The very idea of Supreme Court justices working out of trailers verges on the unspeakable. A3G can't believe that Ms. Biskupic's computer allowed her to type those two sentences! Article III Groupie had a rough day in the office (and the next few days are also looking ugly, so don't expect much from her this week). She doesn't have the time or the energy to do much writing of her own. So she will instead direct you to some of the more interesting things that other people are writing about our beloved SCOTUS nominee, Judge John G. Roberts, Jr. (D.C. Cir.). A3G's collection of links is admittedly idiosyncratic; work has prevented her from following Roberts nomination developments as closely as she might like. * For a more comprehensive collection of Roberts coverage, she refers you to Blawg Review #16, expertly hosted by Sean Sirrine of Objective Justice. 1. Is Judge John Roberts now, or has he ever been, a member of the Federalist Society? Unclear. A3G previously retracted her statement, made in the original version of her John Roberts quiz, that Judge Roberts was a member of the Federalist Society. But maybe she was right the first time around? Check out Chuck Lane's interesting article on the subject. A3G's reaction: What would be the problem if Judge Roberts does belong, or previously belonged, to the Federalist Society? After all, many current and future federal judges are members of this distinguished organization. Treating Judge Roberts's membership or non-membership in the Federalist Society as something insidious strikes A3G as a bit like McCarthyism from the left. (Some of the recent discussion of Judge Roberts's Catholic faith is similarly troubling.) Viewed most charitably, the news media's focus on Judge Roberts's ties to the Society is just plain silly -- "pretty foolish," for the reasons identified here by David Bernstein. But perhaps Judge Roberts has brought this "problem" upon himself, by appearing somewhat cagey and defensive about the whole Federalist Society issue. A more gutsy response to the inquiries: "I'm a member of the Federalist Society, a fine organization dedicated to sponsoring serious and robust intellectual debate, and I'm damn proud of it. On the Chrysler PT Cruiser that I drive, I have a bumper sticker that reads, 'Honk if you're a Federalist!' Do you have a problem with that?" 2. Is Judge John Roberts gay? 3. Is Judge John Roberts this super-wholesome, all-around nice guy, or does he have a more snarky side? In the days immediately following the nomination, Judge Roberts was presented as the former, to the point of striking some as being a bit bland. But now some evidence is emerging to support the latter conclusion. See, e.g., here (via Law Dork, via Blawg Review). It seems that the young John Roberts definitely had a cheeky side! * Despite being oppressed at work, A3G did get the chance to make extensive revisions to The Roberts Nomination: And What About da Clerks? In this post, she speculated about how Justice Roberts might go about picking law clerks for his first Term based on the hiring practices of Justices Thomas, Ginsburg, and Breyer during their first few terms on the Court. A3G also discussed the likely fates of the individuals that Judge Roberts previously selected to clerk for him on the D.C. Circuit for 2005-2006 (assuming, of course, that he's confirmed to the Court). Questions Presented: Judge Robert W. Gettleman!!! 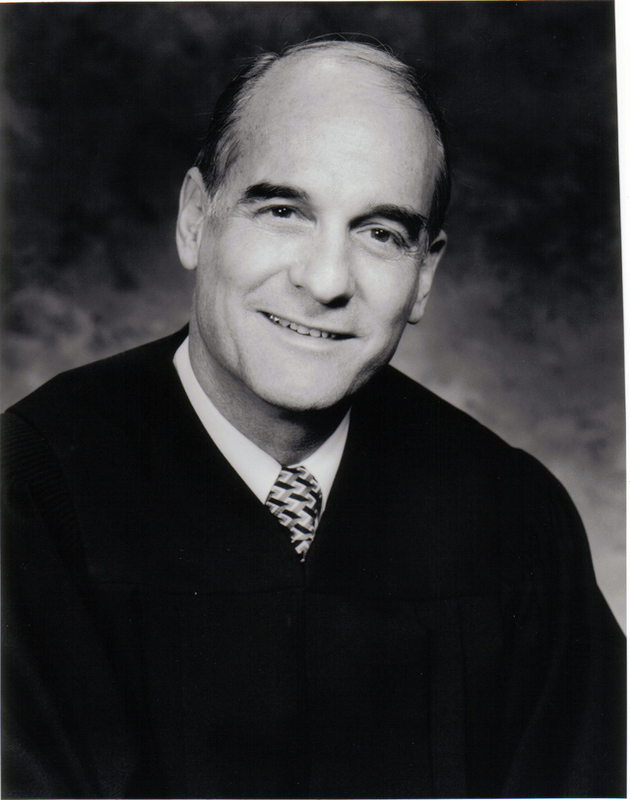 Article III Groupie proudly presents the latest installment in her Questions Presented series, an interview with a super-fabulous jurist: Judge Robert W. Gettleman, of the U.S. District Court for the Northern District of Illinois! Judge Gettleman was born in 1943 in Atlantic City, New Jersey. 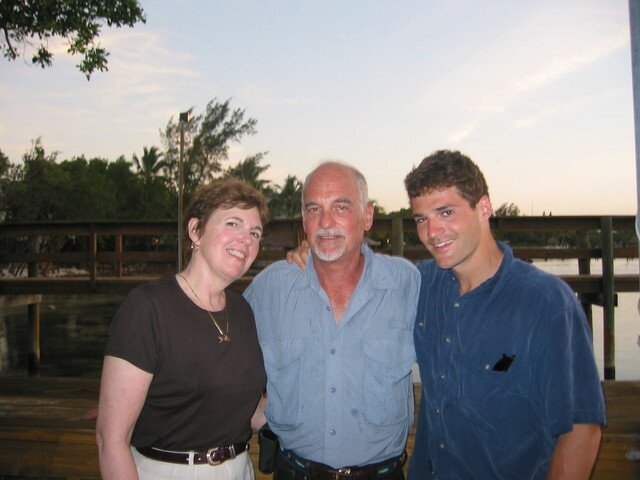 He moved with his family to Miami, Florida, where his father owned a boat yard (and where Judge Gettleman developed his love of fishing). 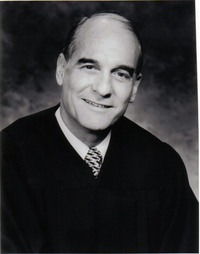 Judge Gettleman received his undergraduate degree from Boston University in 1965 and his law degree from Northwestern University School of Law in 1968 -- both with honors, of course. He then began his legal career as so many federal judicial celebrities do, by serving as a law clerk. Judge Gettleman clerked on the U.S. Court of Appeals for the Seventh Circuit, for Chief Judge Latham Castle and then for Chief Judge Luther Swygert. After his clerkships, in 1970 Judge Gettleman joined the law firm of D'Ancona & Pflaum as an associate in the litigation department. In 1974, four short years later, he made partner. During his 24-year career as a litigator, in addition to successfully representing major corporations in commercial cases, he also litigated several landmark disability rights cases. The rest, dear readers, is history. In October 1994, he assumed the bench as a district court judge for the Northern District of Illinois. Judge Gettleman recently celebrated his tenth judicial anniversary. 1. What are the best and worst parts of being a district court judge? (1) No partners, clients, opposing counsel or judges to hassle you. (2) The interaction with lawyers, litigants, jurors and witnesses in the courtroom. (3) Learning something new almost every day. (4) I look good in black. (5) The collegiality of chambers and interactions with my colleagues on the court. (6) Reading those delightful opinions from the court of appeals and learning from my (many) mistakes. (7) Waking up every morning and looking forward to spending the day trying to just do the right thing. (8) That great free parking space in the heart of the Loop. (9) Never having to fire anyone. (10) Humongous office with all the trimmings. (11) Being able to make decisions on my own. (1) Reading those delightful opinions from the court of appeals and learning from my (many) mistakes. (2) The meager judicial salary. (3) Dismissing cases (especially pro se cases) filed by well-meaning people who sincerely believe they have been aggrieved. (4) Sentencing (almost) anyone to prison, especially immigrant defendants who were raised in the United States but did not become citizens, knowing that they will be deported afterwards to a country to which they are strangers. (5) Sitting through long, tedious jury trials where I have little to do but look judicial. (6) Hearing lawyers complain about other lawyers. (7) Motivating myself to tackle that patent case with the cross-motions for summary judgment, requiring the construction of 17 independent and 37 dependent claims. (8) Denying what might be a colorable habeas corpus petition because it is procedurally barred. (9) Reading briefs with grammatical and typographical errors, and briefs that are far too long and uninteresting. 2. On the subject of collegiality and interactions with your judicial colleagues, district judges usually work by themselves. Sure, they have help from law clerks and secretaries, but they (generally) don't sit on panels with two or more other judges, like circuit judges do. Do you find having the freedom to decide cases on your own, i.e., without having to secure the votes of other judges, empowering or isolating? Also, what opportunities do you have as a district judge to interact with your colleagues or to develop collegiality, given that you decide cases on your own, with your individual courtroom as your personal fiefdom? I believe that most trial judges would agree that the freedom to decide cases on our own is more empowering than isolating. First, we are not really alone in making these decisions. We have the attorneys arguing their respective cases and our law clerks to help us. Of course, the final decision rests with the judge, and that is why we are here. Judges are in the decision business. Judges who have trouble making decisions should find some other line of work. On this court, I have a fair amount of interaction with my colleagues. We have monthly meetings and weekly gatherings for coffee and lunch. Although not all judges attend these weekly get-togethers, they provide an invaluable opportunity to discuss cases and other matters of mutual concern. I have a great group of colleagues, and value my relationship and time with them. 3. Would you ever want to serve as a circuit court judge? Also, do you agree with the theory that differences in temperament and personality may make some people better suited to be trial judges, and other people better suited to be appellate judges? If I had a choice to be a district or circuit court judge (I don’t) I would definitely choose the former. I very much enjoy the interaction with people who come before this court, and don’t think I would be nearly as happy reading briefs and writing opinions only. It would be nice, however, to be able to sit on our court of appeals occasionally; unfortunately, the Seventh Circuit does not have visiting judges of any kind and, unlike most of my district court colleagues around the country, the judges on the district courts of the Seventh Circuit do not sit on the court of appeals as visiting judges. I think this is unfortunate. To answer your second question, I think some people are better suited to be trial judges and others to be appellate judges. Speaking for myself, I enjoy the action of the courtroom, as well as case management, settlement conferences, and writing opinions. It is the mix and variety that make this job so special. 4. In your pre-robescent legal life, you spent almost 25 years litigating major commercial and pro bono cases. As noted in a 1996 article about you in the Chicago Lawyer, you prevailed in "the great fight over Dorothy and Toto," successfully representing the Bradford Exchange and MGM Studios in major copyright litigation. As noted in a 1997 profile of you that appeared in the Chicago Daily Law Bulletin, on the pro bono side, you successfully litigated "the landmark 1988 case that resulted in the Chicago Transit Authority being ordered to buy buses with wheelchair lifts for the disabled -- before the federal Americans with Disabilities Act was passed." These are, of course, just two highlights in your phenomenally successful career as a litigator. Do you miss the practice of law and being able to serve as an advocate, as opposed to an impartial arbiter of disputes? Surprisingly, I do not miss practicing law. Although I am sometimes frustrated when I see things happen in the courtroom that I find incompetent or mystifying, and have to stop myself from jumping in to argue a point, object, or ask a follow-up question, the great majority of time in the actual practice of law is not in the courtroom or other adversarial proceedings such as depositions. It is at the office, where the pressures of the “business of law” and the consequent unpleasant tasks one is required to perform -- especially as one gains seniority within a firm -- are things I am happy to leave behind. Once you get over the huge difference between deciding which side has the correct argument, rather than merely advocating your client’s position, the role of adjudicator is far more comfortable and pleasant than that of an advocate. 5. You argued a major ERISA case, Nachman Corp. v. Pension Benefit Guaranty Corp., 446 U.S. 359 (1980), in the Supreme Court. What was it like to argue before the Court, those nine judicial deities unto whom we offer burnt sacrifices of fatlings? Arguing any case before the Supreme Court is a real kick. You tend to spend much more time than needed preparing for what in essence is nothing more than an appellate argument in any court. At first, it is quite startling to see the nine justices who, as you say, we regard as “judicial deities” walk through the curtains and take their seats at the bench. The podium that the lawyer stands at is quite close to the bench, and there is almost an intimate feeling while arguing the case -- certainly more so than, say, in the Seventh Circuit where the podium is a fair distance from the bench. I enjoyed the experience a great deal, and just wish that I had gotten one more vote. 6. Like so many great federal judges, you started off your legal career as a law clerk. From June 1968 to July 1970, you clerked for Judge Latham Castle and for Judge Luther Swygert, both of the Seventh Circuit. What was it like to clerk for two different judges on the same court? And do you have any recommendations or advice for people considering doing a judicial clerkship? Actually, I began my clerkship career as what was then the first and only staff law clerk for the Seventh Circuit. I was hired by Judge Swygert, with whom I became very close and remained so until he passed away. That job lasted for less than three months, when Judge Castle became Chief Judge and asked me to be his law clerk. In those days, court of appeals judges had at most two law clerks, and Judge Castle had a permanent clerk that helped him with the administrative duties; I was the only law clerk drafting opinions and working on cases. It was a great introduction to the practical side of the law, and it led to my clerkship with Judge Swygert when he became Chief. Luther Swygert was somewhat of a rebel. He was also a drinking buddy, personal confidant, and an endless source of great stories and empathy. My advice to any young lawyer is to seek the best clerkship you can get and devote yourself to it. You will learn more in the year or two you spend as a law clerk to any judge than you will in the previous three years in law school or the next five years in practice if you put your mind to it. 7. What qualities do you look for when hiring your law clerks, how do you conduct your clerk hiring process, and how would you describe your relationship with your clerks, both during and after the clerkship? Obviously, I begin by looking for achievement both academically and personally. I do not let my law clerks make “cuts” in the resumes we get, which number approximately 400 for each open position. I do this myself, and because most of the applicants are incredibly competent (the judges around here joke that we are not qualified to be our own law clerks), I look for something unusual or special in their resume that catches my attention. I can’t even tell you what it is, but working for not-for-profits or public interest groups, unusual outside interests, or an unusually concise, well written cover letter may get my attention. Obviously, any personal recommendation from someone I know and trust means a lot as well. I narrow the choices down to about eight candidates, interview them, and make a decision. I do not require an applicant to make a decision immediately upon getting an offer, since I think that is unfair to the applicant as well as other judges who may intend to interview the applicant. I should mention that I have one permanent law clerk, who practiced with me before I went on the bench, and hire my other law clerk once every other year. We have a very informal, relaxed atmosphere in chambers with everyone. One of the great things about being a federal judge on this court is that we are able to work at a pace in which we can be comfortable with the quality of our product and enjoy the working relationships that we develop. I often eat lunch in chambers with my clerks, where we have a chance to discuss not just our work but anything else that comes to mind. I can honestly say that the young people who have rotated through this chambers are among the finest group of people I have met and worked with in my life. It is a privilege to be able to see them at the beginning of their careers and to follow them as they achieve their goals after they leave. 8. Judge Gettleman, A3G would be remiss in her duties as chief arbiter of federal judicial fashion if she didn't "get all up in your robe business." (a) Who are you wearing? (b) Do your robes come in different styles? (c) How many robes do you own? (d) Do judges have to pay for their robes -- or is federal judicial service like working at McDonald's, where the uniform comes with the job? (e) Are there any other details you'd like to share about your robes? I am afraid that getting “under my robe” won’t be nearly as interesting as your interview with Judge Wardlaw. I have only two robes, both black and made by Murphy Robes of Chicago. The one I wear every day was given to me by two of my closest friends with whom I practiced law at my former law firm. It is a standard judicial robe and is beginning to fall apart after ten years. I have another, fancier robe that was given to me by Seymour Simon, a former Justice of the Illinois Supreme Court and one of my heroes. Seymour and I got to know each other as opposing counsel in some major litigation just preceding my appointment to the bench, and he honored me by giving me his old robe which has his name on the label. I wear this only on special occasions. Seymour turned 90 this summer and still practices, and I hope he gets to see me wearing his robe for many years to come. 9. The other day A3G was thinking (yes, she does that from time to time): Unfortunately for them, federal judges don't get to show off all their great outfits, seeing as they're hidden under their robes. Do you miss the opportunity to strut your stuff in a beautifully tailored business suit? And how would you describe your tastes in non-robescent clothing and your overall fashion sensibility? I am rather pedestrian in my taste of clothes. I wear (old) jackets and slacks to work most days. I have them custom made in Hong Kong by an outfit called Medos. All I do is choose the color and fabric, write a check, and about three weeks later they arrive. I have a wardrobe filled with suits I ordered before taking the bench which I almost never wear (weddings, etc.). I wear comfortable, ugly walking shoes to work, and all my ties are gifts, mostly from my wife (I have lousy taste in ties). Judges’ tastes in working dress vary a great deal. I notice that some of my male colleagues still wear suits (bad habits from their former lives? ), and some, like me, dress more casually. But unlike lawyers these days, we all seem to wear ties during the day, whether in chambers or on the bench -- which is more than I can say for lawyers in practice, who are, in my opinion, under-dressed for their professional roles. All I can surmise is that their clients must be similarly attired, an obvious sign of the decline of civilization as we know it. 10. Do you have a gavel? If not, why not? If so, do you enjoy banging your gavel? Hmm, that last question came out sounding a little risque, so counsel will rephrase. Do you get a thrill from banging your metaphorical gavel, i.e., from reveling in your exalted federal judicial status? And is judicial title-dropping useful in snaring hard-to-get restaurant reservations? I do have a gavel. We are all given gavels inscribed with our names on them when we are inducted onto the bench. I keep it with me on the bench, but it is actually my courtroom deputy who gavels the beginning of our court sessions, using an old gavel I found lying around here. He has the block as well as the gavel, and if you bang the gavel on the bench without the block it doesn’t sound like much. As far as getting a kick from banging my metaphorical gavel, the thrill of being a federal judge -- which I must admit was quite a thrill indeed when I first took the bench after practicing in this court and others for about 25 years -- wears off after a while. You get to realize that you are not such a big shot after all, especially on a big court like this where we have 22 active and about eight senior judges. In a large city like Chicago, we are pretty inconspicuous. The only people that tend to fawn over you are lawyers, and who needs that. After several years on this job, I realize that being a husband, father, and now grandfather are the most important parts of my life, and the trappings of office are relatively unimportant. And as far as getting hard-to-get restaurant reservations, there are no such things in Chicago. We have many great restaurants, and I have not had to pull rank (yet). 11. On the subject of restaurants, do you have a few favorite places that you can recommend to visitors to the Windy City? My taste in restaurants, and that of my wife, is rather eclectic. I don’t often go to the fancier places, and prefer ethnic food such as Greek Town (Greek Islands, Parthenon, or Santorini) or one of our many Asian restaurants. For Italian we like Coco Pazzo on St. Clair on the near north side. For a quick, affordable meal we really like Boston Blackies, also on St. Clair. And remember Chicago is a pizza town. The best by far, in my opinion, is Edwardos. 12. 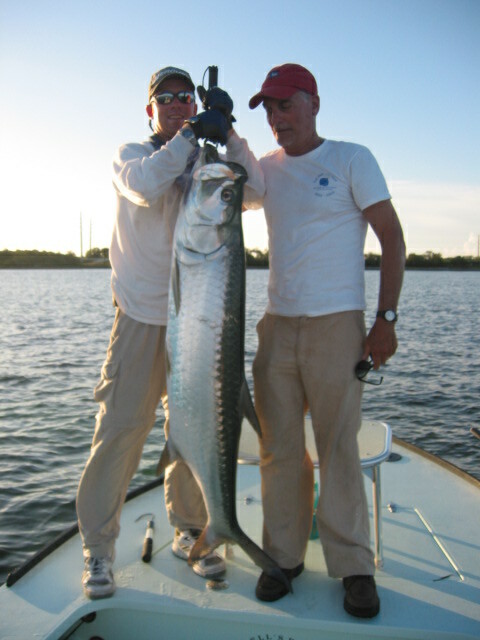 You are known as an accomplished fisherman (both saltwater and fly fishing). It is also rumored that you have gone paintballing with the #1 Male Superhottie of the Federal Judiciary. Please tell us a little bit about what you enjoy doing in your spare time, when you are not warming your bench or in your chambers. Unfortunately, Chicago must be the worst place in the world for anyone who likes to fish. Although we have a rather large body of fresh water just down the street from where I live and work, the fish in it are not terribly interesting. There are no lakes or streams nearby that are worth wetting a line in. To do any serious fishing I have to get on a plane, which I do several times a year. And you are right about the paintballing adventure with Alex Kozinski. When my son Jeffrey was with the Los Angeles Times, I used to play paintball with him in California when we visited. I heard through the grapevine that Alex played paintball, and invited him to join us. I was with my son and his girlfriend, Courtenay (who is now a juvenile public defender in Newark, NJ), and Alex was with his son and one of his law clerks. We had a great time, and he can tell you better than I what he thought of my skill with a paintball gun. Sadly, that was the last time I played paintball, and it has been about three years or so. My son is now with the New York Times and recently moved from the Atlanta bureau to New York City, which takes a dim view of and has limited opportunities for paintball. So on most days when I come home from work, I “recreate” at home doing odd chores and reading. (Latest great book I’ve read: The Kite Runner by Khaled Hosseini.) My wife Joyce and I spend a lot of time traveling to visit our children and grandchildren, all of whom are now in New York. My daughter is a doctor who lives on the Upper East Side, and Jeffrey lives in Hoboken (when he is not in Iraq or otherwise on some gut-wrenching assignment for the Times). 13. You and your wife Joyce, a psychotherapist with a private practice in Evanston, are celebrating your 40th anniversary this year. [They are pictured at left with their son Jeff.] Congratulations! Do you have any exciting plans to celebrate? And can you tell us the story of your meeting and courtship? Joyce and I met my junior year in college, when I transferred from the University of Florida to Boston University and she was my downstairs neighbor in an apartment building in Back Bay. It sounds corny, but it really was love at first sight (for me at least; Joyce took a bit of convincing). We were married the next year and moved to Chicago when I started law school at Northwestern in 1965. We are planning a trip to Hawaii to celebrate our 40th, and will actually be in New York with our children and grandchildren for our anniversary on December 23. It is hard to believe that so many years have passed; I still feel like a 21 year old kid. Hopefully Joyce does too. 14. Your two children are highly accomplished professionals. Your daughter Lynn is a doctor, a graduate of the Stanford Medical School, who practices pediatrics in New York. Your son Jeffrey is a prominent reporter for the New York Times, who has spent a significant amount of time in Iraq (where he was kidnapped and held for a time by insurgents near Falluja). What are your thoughts on your children's occupations? On a related note, if you had not entered the legal profession, what do you think you would have become instead? You have hit on one of my favorite subjects: my children [pictured at right, with Judge Gettleman's oldest grandson; click on the thumbnail for a better view of Jeff Gettleman's bodacious body]. I said at my induction that until I had gotten my appointment to the federal bench I believed I would always be best known for the accomplishments of my children. (At that time Lynn was just entering medical school and Jeffrey was beginning his two years at Oxford as a Marshall Scholar.) I still think that is true. As you note, Lynn Chehab (nee Gettleman) is a pediatrician in New York, and is in the middle of a public heath fellowship at Columbia. Her husband, Eric, is finishing his orthopedic residency at the Hospital for Special Surgery. They have two great sons and I am very proud of all of their accomplishments, especially Lynn’s plan to go into public health rather than into a higher paying career. Of course, I am also extremely proud of Jeffrey, who has been a great success as a journalist. He first decided on this career when he was at Oxford, where he ended up as the first non-British Editor in Chief of the Cherwell (the Oxford daily student paper) since Rupert Murdoch. The downside to all of this is that he takes assignments in some very dangerous places. When he was with the L.A. Times he reported from Egypt, Yemen and Afghanistan, and as you mentioned he spent the first six months of 2004 in Iraq, where he was involved in some serious combat as well as being kidnaped. After that event, every time the phone rang I was afraid it was a call telling me something had happened to Jeff. We are glad that he is back, although he plans to return to Iraq in January to cover the so-called elections there. Jeff has written extensively in the Times about his Iraq experiences, and has a lengthy article on the subject (along with a number of photos) in the December 2004 issue of GQ. What would I have become if not a lawyer? Good question. My dad wanted me to be a dentist (regular hours, good pay, referred to as “Doctor”; my brother Larry is a dentist but went into teaching and research instead of practicing). My grandfather wanted me to be an accountant. (“Everybody needs an accountant,” he would say. Also, he didn’t like his own accountant.) It is hard to think that far back, but I was a finance major and loved the gamesmanship of the market. So I’d probably have gone in that direction and been rich by now. 15. For example, you could have become a tree. If you were a tree, what kind of tree would you be? This is easy -- if I had to be a tree, I would be a coconut palm tree. They live in balmy climates, bend with the wind, survive the strongest gales, and can drop their nuts on anyone at anytime. What could be better? 16. As you have mentioned in prior interviews, when you were seven years old, you got polio; you had a brace on your leg until age 17. You have cited your struggle with childhood polio as one of the factors that led you to become involved with disability rights issues as an attorney. Has the experience of overcoming polio affected you as a judge or otherwise contributed to the perspective that you bring to cases (disability-related or otherwise)? My experience with polio and having a disability has certainly been a major factor in shaping my life. As a child, and even as an adult, I have known what it is like to be different and to be treated as different. I think this makes me a better person. I believe a lot of the mistakes that are made in society are caused by the lack of understanding by people in positions of authority towards the powerless. Earned privilege is one thing; inherited privilege is quite another. My interaction with the disability community during my years of practice was, in a word, inspiring. Some of the people I met during that time are among the most outstanding people I have ever met (notably Marca Bristo of Access Living of Chicago, Tony Coelho, and too many others to name). Their determination to break down the barriers that have segregated and discriminated against people with disabilities has resulted in some of the finest civil rights achievements of our time. I am proud to have been a small part of that effort. Of course, this experience, as well as my own personal experience dealing with a disability, contributes to my judicial perspective, just as Thurgood Marshall’s civil rights experience contributed to his. I am disheartened by some of the decisions from the Supreme Court concerning the Americans with Disabilities Act, and the apparent desire by members of that court to construe the ADA narrowly rather than as a broad-reaching civil rights statute. One of the distinguishing features of disability rights, as compared to civil rights generally, is that all of us may become members of the protected class -- and if we live long enough, we all will acquire disabilities. The ADA represents a major effort to level the playing field for people with disabilities, while respecting the realities, both economic and social, concerning the degree of accommodation that must be accorded to this significant portion of our population (estimated to be some 43 million at the time the ADA was passed in 1988). We are just beginning our struggle to fulfill the promise of this important legislation, and I enjoy wrestling with the difficult issues presented by the cases in our court. 17. Concerning the wheels of justice, rumor has it that you own a classic Porsche, "which you drive like a cabbie." Can you comment on these rumors? The rumors are true in part and scurrilously false in part. I own a 1974 911 Targa, which is in great running shape and which I enjoy driving in the nice weather (remember this is Chicago). Since I respect the First Amendment, I will not demand that you tell me the source of the comment that I “drive [the Porsche] like a cabbie.” This is totally untrue. I am a very careful driver. Honest. 18. "Calgon, take me away!" Sometimes the pressures of life as a district judge, including all those pesky litigants, must lead you to want to speed away in your Porsche. Do you have any expensive habits or guilty pleasures that you like to indulge in when you need to get away from it all? At our salary, there aren’t many “expensive habits” that I could afford (the Porsche doesn’t really cost very much to keep up). Nor do I have many “guilty” pleasures. I enjoy coming home to the same house I have lived in for 35 years, to the same woman I have been married to for the past 40 years, and settling down with a good book, the New York Times, or a good movie. I enjoy cooking, and find that it is a great transition from the work day to the evening. Our only real indulgences are traveling and theatre. We have three theatre subscriptions in Chicago (which, to the surprise of many, may just be the greatest theatre town in the country), and spend a very long weekend at the Stratford Festival in Ontario each summer. Theatre doesn’t get much better than that. 19. Outside your courtroom, there is a bulletin board featuring various law-related cartoons (which your minute clerk maintains, but which you contribute to from time to time). Also, rumor has it that you enjoy reading The Onion every now and then. Your sense of humor might be surprising to some people, given the idea many people have in their minds of serious and stern federal judges. What do you think is the appropriate role of humor in the courtroom, as well as in the federal judiciary more generally? Remember, from the “Mikado,” that one of the first categories on the Lord High Executioner’s hit list was the “judicial humorist.” I am dismayed sometimes to read appellate opinions that make lame attempts at humor. Although I have been tempted on many occasions to do so myself, I try to put myself in the shoes of the litigant reading the opinion. To anyone on the losing side, there is usually nothing funny about the opinion or the result. In the courtroom, humor can sometimes break the tension, but it must be used sparingly and sensitively. Sometimes the lawyers and I will be joking around in a criminal case, and I will glance at the defendant who is totally bewildered by what we find to be funny. So, as tempting as it is to engage in humorous banter, I think every judge should be careful to maintain the dignity of the courtroom and to be sensitive to the audience. 20. According to a 1997 profile of you that appeared in the Chicago Daily Law Bulletin, your federal judicial apotheosis began when the late Senator Paul Simon suggested you to President Clinton as a nominee for a district court judgeship. Interestingly enough, at the time of your nomination, you were not a friend of -- or fundraiser for -- Senator Simon. As you stated in your interview with the Bulletin, "God bless Paul Simon. He said that he would do merit selection. I didn't know him. I was not involved in politics at all. I applied for this job never thinking I had a prayer to get it. And the rest is history." On August 16, 1994, you were nominated by the president; less than two months later, after Senate confirmation, you had your presidential commission firmly in hand. It appears that the judicial nomination and confirmation processes have changed quite a bit in the decade since your 1994 nomination to the bench. What are your thoughts on the judicial nomination and confirmation processes as they stand today? And what advice would you offer to A3G concerning how to transform herself from "Article III Groupie" to "Article III Goddess"? At my induction, I began by thanking Anita Hill for my appointment. If it weren’t for Anita Hill, Carol Moseley Braun would never have been elected Senator from Illinois, displacing Alan Dixon, who would have become the Senior Senator and been in charge of suggesting judges for nomination to the President (no doubt on a political spoils basis). As a result of Carol’s beating Dixon, Paul Simon became the senior Senator from Illinois and made good on his word by establishing a merit selection procedure. Almost on a lark, I applied for the job and, to my great surprise, made the list of finalists for the first group of vacancies. Although I wasn’t selected then, two additional vacancies occurred and I was the next person selected by Senator Simon, also to my surprise. My most effective supporters came from the “disability rights” community, for whom I had the privilege of litigating a number of pro bono cases during my career. I also had the support of Abner Mikva, with whom I practiced law for several years in the early 1970s. Ab has been a friend and inspiration to me since I first met him in the late 1960s when he was running for Congress in the Hyde Park district in which we then lived. The entire confirmation process took about six months, which was average for those days. I encountered no opposition, and merely had to bare my soul and that of my family to the Justice Department. It is a pretty gut-wrenching experience under any circumstances, especially for someone who had no political background and no inkling of the vagaries of Washington. Obviously, since 1994 there has been some deterioration in the confirmation process, although I am not sure about this at the district court level. Most of the nasty judicial confirmation fights have been at the circuit court level, and the judges who have been appointed in recent years both under the Clinton and Bush administrations seem to have gotten through the confirmation process without too much trouble. In Illinois, both Paul Simon, under Clinton, and Peter Fitzgerald, under Bush, have done good jobs in selecting judicial nominees for the district court. As for giving advice to A3G about how to transform herself from an Article III Groupie to an Article III Goddess, I can only offer the advice Judge Swygert gave to me when I asked him a similar question many years ago: “Get to know a senator well.” Although that wasn’t the case with me, it sure doesn’t hurt. WOW! To be sure, Article III Groupie isn't exactly objective -- but wasn't that a great interview? In A3G's view, it offered the perfect mix of substance and style, seriousness and silliness. Judge Gettleman's heartfelt comments on disability rights issues and the ADA (question #16) were particularly thoughtful and thought-provoking. Well, it looks like "Questions Presented" is turning into a monthly feature of UTR (which will be celebrating its six-month anniversary in a few days, by the way; A3G published her first post, UTR's mission statement, on June 5). A3G hopes to publish her third QP interview sometime in January 2005, although probably somewhat later in the month, given the holiday season. But she is still looking for her next interviewee. As you may have inferred from her recent silence, Article III Groupie has been busy beyond the blogosphere, as well as very stressed out. She is unfortunately short on time, energy, and wit. But she does have some long overdue corrections and additions to her prior post, Judicial SIGHT-ations: Halloween Special Issue. 1. After reading A3G's commentary on the Rascoff nuptials, one UTR correspondent offered the following suggestion: "When you include wedding announcements in your posts, why not point readers to the couple's registry on weddingchannel.com? I think the unwashed masses are curious about the china patterns of the Elect." A3G couldn't agree more. Indeed, she has often wondered: If she had experienced a magically transformative year behind the doors of One First Street, would her taste in silverware be any different today? And so she thanks this reader for an excellent idea (as well for the link to the Rascoffian registry). I wish to offer my unworthy apologies for not being more observant in my reportage. My reason--and it is never an excuse--is that I am male and thus prone to overlook critical details such as, well, fashion. After it was revealed to the assembled throng that Judge Rader had, pretty much, just stepped off a trans-Pacific flight -- presumably, however, taken in the comfort of business or first class--a remark was made that (or to the effect that) it was an outstanding effort by Judge Rader to give the lecture in those circumstances. drugs," and held up an empty bottle of Diet Coke with Lime. General laughter ensued. Like Judge Rader, A3G is also a devotee of Diet Coke with Lime. 3. Finally, Article III Groupie must discuss Justice Thomas's vehicular preferences. After stating her belief that CT drives a Corvette rather than a Saturn, she received several pieces of reader mail. I am a student at KU law. While Justice Thomas was speaking to my Constitutional Law class, he mentioned that he drove a Saturn to work in an attempt to portray himself as an ordinary guy. While I did not have the pleasure of talking to him [one-on-one], he DOES seem to be a regular guy (the members of his U.S. Marshal security detail were dressed better than the Justice was), and he spent the better part of one morning sitting in the informal commons chatting with a small group of students. I met Justice Thomas at Ted Olson's house this summer. I was leaving as he was, and I can report that he left in a beat-up SUV -- I think it was an Isuzu Trooper, but I'm not certain about that. It was definitely beat-up though, and he drove it himself. Maybe he's got a few rides. A3G suspects that this reader is correct; Justice Thomas probably has multiple vehicles. After all, having pocketed a hefty $1.5 million advance for his memoirs, CT can certainly afford several cars. If Justice Thomas does in fact own a Corvette, a beat-up SUV, and a Saturn, his three vehicles all reflect different facets of justice in our great republic. The Corvette embodies the speed and splendor of justice; the beat-up SUV demonstrates that justice must sometimes be tough; and the Saturn shows that justice should lie within the reach of the common man, the cherished ideal of "justice for all." And now, dear friends, Article III Groupie must take her leave of you for a while. Work has been very hectic for A3G as of late, and now she must go out of town on business, most likely for the rest of this week. She will probably be away from blogging and e-mail until at least Sunday, possibly later. She wishes her readers a wonderful week.